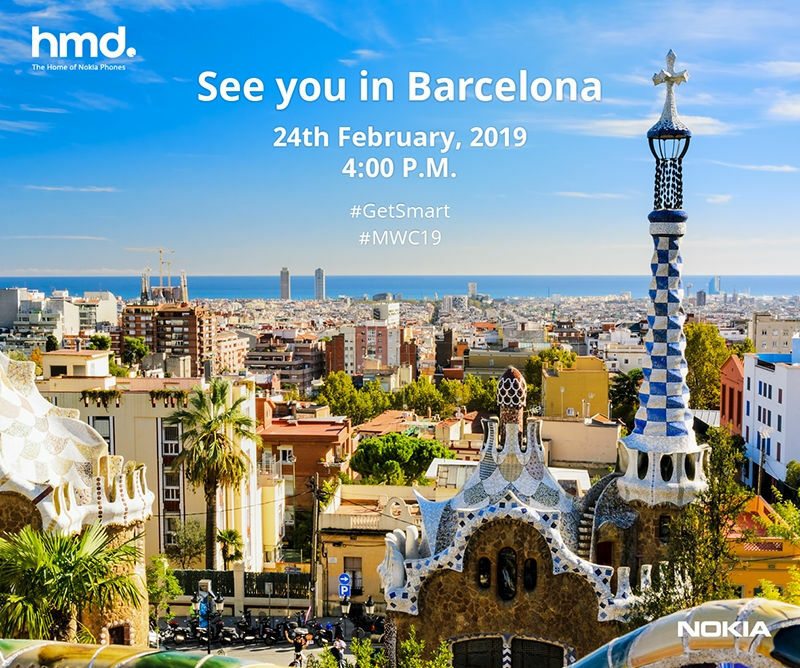 Update – February 1, 2019: HMD Global has started sending out invites for its MWC event on February 24th in Barcelona. The event starts at 4PM CET (8:30 PM IST). 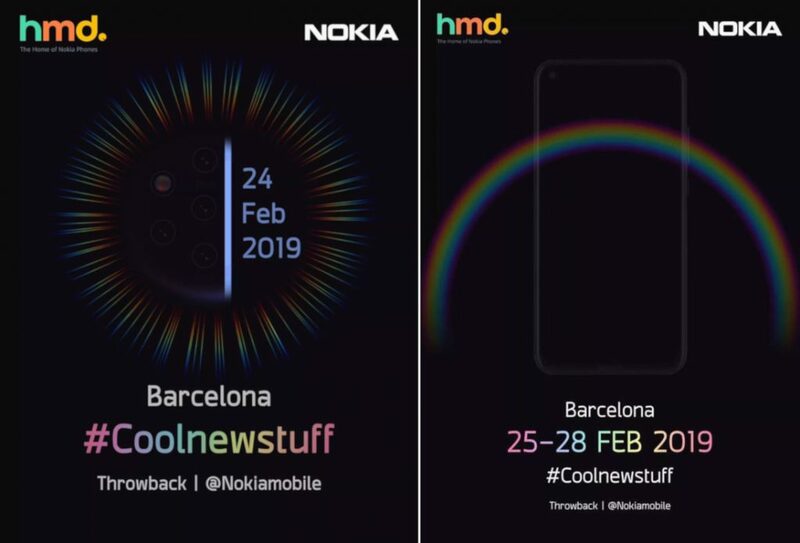 Earlier: HMD Global at the MWC 2019 event on February 24th is expected to introduce its flagship Nokia 9 PureView smartphone with penta rear cameras. It is also expected to introduce its first in-screen camera phone at the event, according to two images circulating as invites. Juho Sarvikas, chief product officer at HMD Global already teased that the company’s Barcelona MWC showdown is going to be huge. 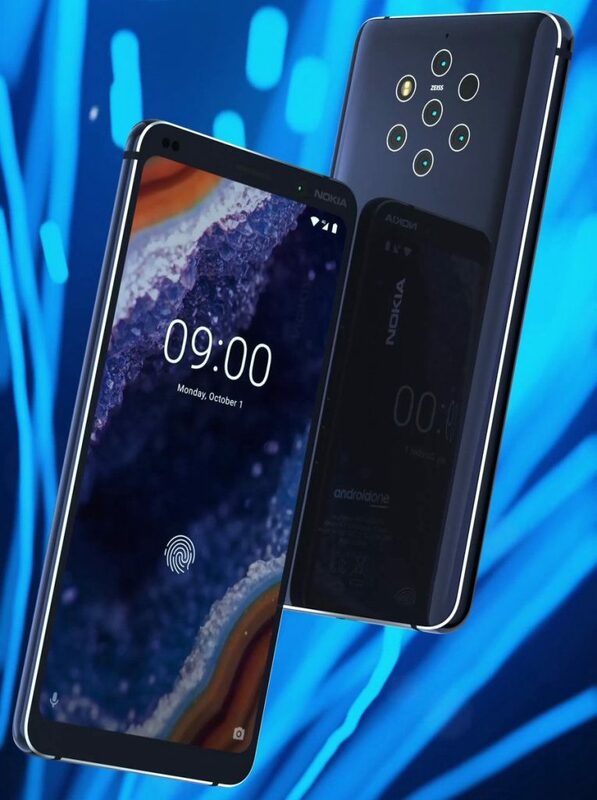 Renders of Nokia 9 PureView surfaced last month showing penta camera arragement arranged in 1-1-3 formation with ZEISS optics, rotating zoom-camera tech on the back. The smartphone codenamed ‘Beholder’ will feature an in-display fingerprint sensor, 18:9 aspect ratio display, glass back and a metal frame. The phone is rumored to come with a 5.9-inch Quad HD 3D glass OLED display, powered by Snapdragon 845 with up to 8GB of RAM, 128GB storage, expandable memory with microSD, Android 9.0 (Pie), IP68 ratings for water-resistance, Nokia OZO Audio and 4150mAh batery with wireless charging. The other phone could be Nokia 8.1 Plus with ultra-slim bezels with a cut-out for the selfie camera on the top-left corner. It is said to feature a 6.22-inches Full HD+ display, 3.5mm headphone jack, dual rear cameras with Zeiss optics and dual LED flash. 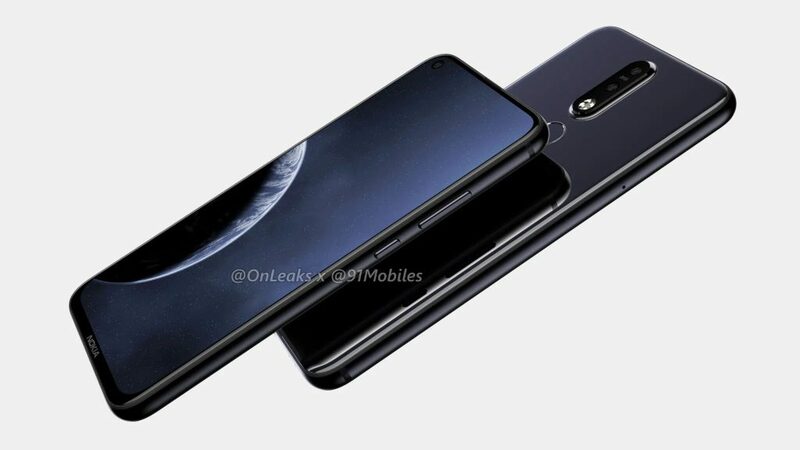 It could also be the rumored Nokia 6.2 (2019) with 6.2-inch display with in-screen camera, Snapdragon 632, 4/6GB RAM, 16MP Dual-rear Zeiss Camera with OZO Audio. We should know all the details when the phones go official next month.